There is a great story about the very first photograph taken of Earth from the vantage point of space. In 1972, Apollo 17, the lunar-landing mission crew of NASA, gave us our first look at Earth from beyond the atmosphere – the famous Blue Marble was the first full Earth snapshot, which extends from the Mediterranean Sea area to the Antarctica South polar ice cap. As described, this photograph occasioned a profound shift in our understanding of ourselves. The thinking behind it is this – back then we could look back at our planet and see it entirely for the first time in human history. 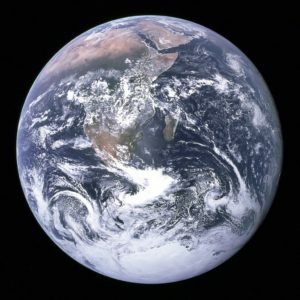 This provided a cognitive awaking, it upgraded our self-image, it expanded our consciousness… Astronauts in orbit call this the “Overview Effect”. The term refers to the experience of seeing the reality of the Earth in space, which is understood to be a tiny, fragile ball of life, “Pale Blue Dot” as Carl Sagan says, “hanging in the void”, covered by a paper-thin atmosphere. Since my early childhood, I was always curious about the mysteries of space. The idea of space travel still haunts me, not as much as an expansion of physical space but as an expansion of mind for humans beings. 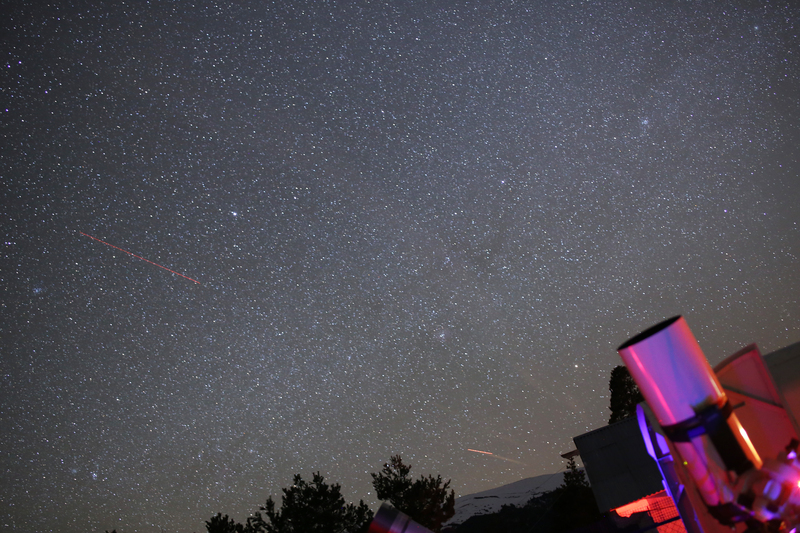 I was 10 when I first discovered deep space objects and looked up the sky unseen before. This was when I first visited Abastumani Astrophysical Observatory in Georgia. 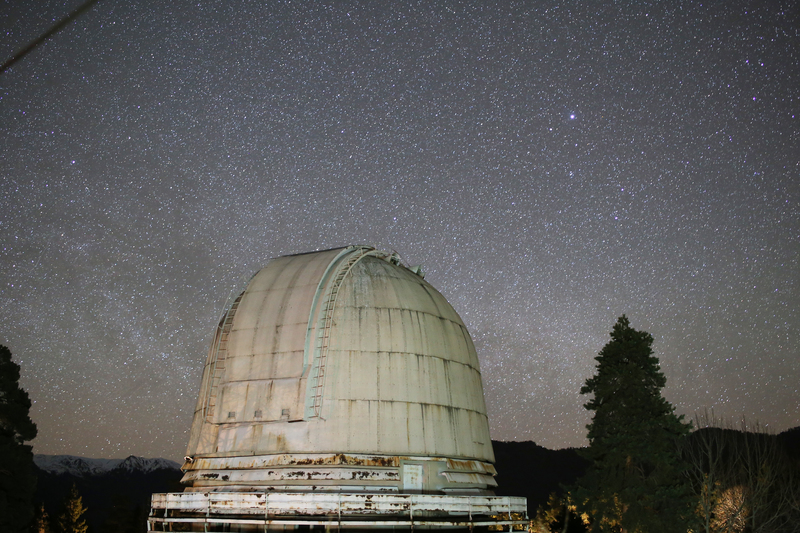 The Observatory is just 3 hours away from the capital city and is easily reached by public transportation. 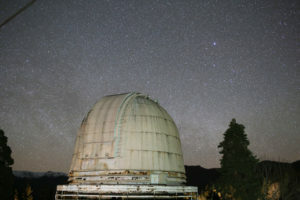 It was founded in 1932 in Samtskhe-Javakheti, the Southeastern part of Georgia, as the first alpine astrophysical observatory on the former Soviet Union territory. Altitude varies between 1650-1700 m above sea level. From the resort Abastumani, the Soviet rope way takes visitors right to the observatory where tourists can enjoy the observatory and stay in a renovated hotel. 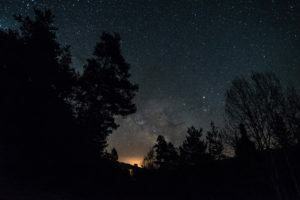 Being distant from the air pollution and sky illumination together with excellent natural conditions ranks this place among the top destination of astrophotographers from Georgia and all over the world. Quite recently, I met a friend who takes astrophotos, recording images of astronomical objects, and large areas of the night sky. Astrophotos are taken at night, with a special technique and can be recorded with both camera and telescope. For amateurs like me, sky miracles can be captured through the camera lens. As W.B. Yeats says, “the world is full of magic things, patiently waiting for our senses to grow sharper”. And thanks to the exponential technological advancement, we already have the tools to sharpen our senses, to wander in far space. Nowadays just a regular camera lens can take us to the space journey and fit the whole universe in our brain. Neil Degrasse Tyson calls this the cosmic perspective, when we keep pushing beyond the limits of space… This is what makes us go further as a civilization. When we look at the cosmic skies, when we domesticate space travel – we see the big picture, we are transformed, we are reset. 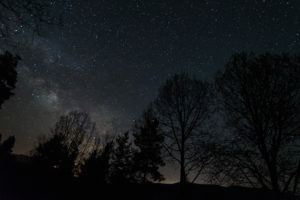 Contemporary conflicts and disputes are little difficult to support when we see our planet as small part of the vast universe, “inconspicuous point of light against the vast citadel of the stars” – as Carl Sagan says. Have You Ever Been Deer Curling?